Staffed by NBA officers from the Health Provider Engagement team, the Blood Operations Centre (BOC) proactively monitors the operations of the blood systems and supports end users. BOC is co-located with the ICT Infrastructure and Applications Development teams to enable the ready identification and resolution of issues. In addition to monitoring and supporting users, BOC also provides a single point of contact for staff from health providers and operates as the Incident Room when the National Blood Supply Contingency Plan (NBSCP) is activated. 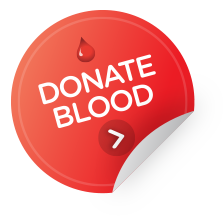 Staffed from 0800 to 1800 (AEST/AEDT) normally, BOC operates 24/7 to support users and the blood sector. When BOC is not physically staffed, after-hours support is provided by on-call officers 24/7. To ensure that we provide a seamless service to health providers, our business continuity arrangements enable BOC to operate when our normal office is unavailable for any reason.